In this chapter, we define the syntax and semantics of transition systems, and provide several illustrative examples. 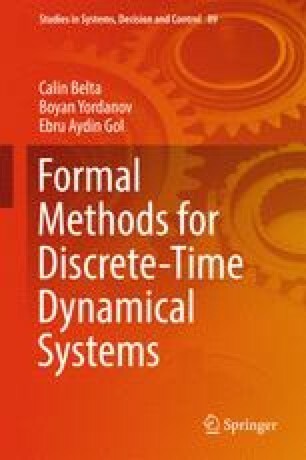 In particular, we present different (deterministic, nondeterministic, finite, and infinite) transition system representations for discrete-time dynamical systems. We also introduce simulation and bisimulation relations, which are central for the construction of finite abstractions throughout the book.